The PL100-TTP and PL165-TTP provide an excellent package for precision print and apply applications. Either a PL100 or a PL165 Applicator, based on the width of the label material, can be configured with a Thermal Transfer Printer (TTP) unit to provide an integrated print and apply system. 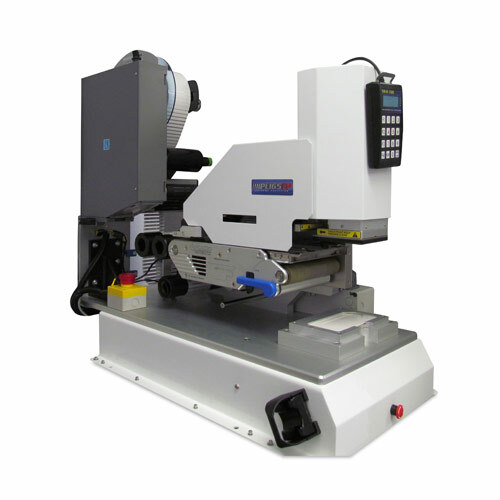 TTP units are available in 4”, 6”, or 8” width capacities and with 300 or 600 dpi print resolution. The output of the TTP unit is fed directly into the PL Applicator. A small loop of material is maintained between the TTP and the PL Applicator which is monitored by sensors to ensure that adequate material is always available to allow both systems to operate correctly. The TTP system is compatible with virtually all major label configuration software packages and is incorporates several potential methods for communication including Ethernet, RS-232, and Compact Flash program storage. The PL100-TTP and PL165-TTP are configured for labeling applications with high accuracy requirements and high resolution printing requirements and fully compatible with virtually any label shape and even with multiple labels that must be printed and applied in tandem.